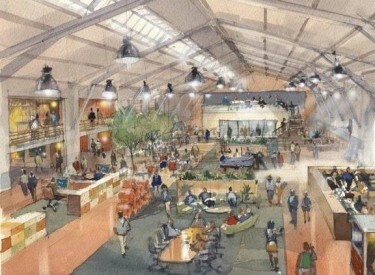 The project in the former Maryland National Guard Armory in Towson will function as “publicly focused” space for regional leaders to collaborate with university staff and students, according to a news release. 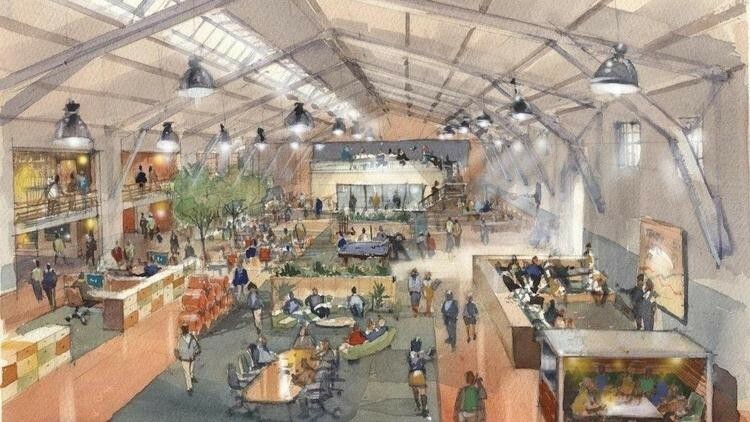 University President Kim Schatzel, who spoke Friday in front of the armory, said the project will include “incubating and accelerating start-ups, showcasing our vibrant communities to site selectors, and connecting job seekers and hopeful employers. The interior remodeling project will take about a year, Greenberg Gibbons CEO Brian Gibbons said, with the university expected to start using the space in 2020. Welsh said he does not immediately have information about the cost of the project or the source of funding. Support staff for TU Incubator, the university’s business incubator, and the Office of Partnerships and Outreach will use some of the space, the release said. Other specific programs to be housed “will be determined over the course of the next year as the building is prepped for our use,” spokesman Sean Welsh said. The armory has been used as a gymnasium in recent years; today, the wooden gym floors are worn and paint is peeling from the ceiling. “We’re about to wake up this community gym and bring it to life and help the vibrancy of downtown Towson,” Gibbons said. At the announcement, Baltimore County Executive Johnny Olszewski Jr. said the project is one reason he is instructing his staff to draft an “anchor institution strategy,” one recommendation of his transition team, to leverage schools like Towson University to boost economic development. Bobbie Laur, who oversees the university’s Division of Strategic Partnerships and Applied Research, said the open-concept space will be used for events as well as co-working space and activities like workforce training. Laur said details on the use will be worked out in the coming year. “We’re putting together a process for community and public stakeholders to weigh in,” she said. The more than 21,000-square-foot building, which dates back to 1933, adjoins Greenberg Gibbons’ $350 million mixed-use development Towson Row. The university says the project is part of Schatzel’s Together Towson initiative, which seeks to strengthen connections between the university and the surrounding Towson community. Greenberg Gibbons also plans to put a coffee shop or cafe in the space, the news release said.